We are open alternating Tuesdays and Thursdays. Please call our office for more information. Welcome to our office! We are happy to meet you, and look forward to establishing a long and happy relationship. 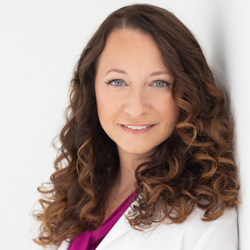 Dr. Josie Dovidio has lived in Simi Valley for years and has many friends and neighbors who know her well in the community. 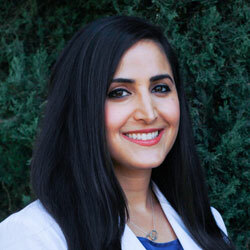 She is a warm, caring professional with exceptional skills and a commitment to provide our patients with the top-quality dental care they deserve. Our focus is on preventive dental care with a technological advantage combined with personalized attention and treatment. We aim to establish long-term ties with our patients and have your families visit us for their oral health needs. We believe in our patients’ dignity and right to the best care that we can provide, and we are dedicated to that purpose. Contact us with your questions, concerns, or even just to visit our office and meet us in person. We will give you all the information you need to make the informed decisions necessary for your dental health. We will be with you every step of your treatment, from discussing the risks and advantages to making certain your teeth are stronger and healthier than ever. We provide service to Simi Valley (known as one of the safest cities in America), Moorpark, Chatsworth, and Thousand Oaks. Our office is located on the corner of Royal and Erringer Road, across the street from Simi Valley Community Church. We accept most PPO plans, including Dental Health Alliance, Dental Benefit Providers, Cigna, Delta, Metlife, Aetna, Anthem, Blue Cross Blue Shield, Guardian, Humana, Premier Access, Careington, Connection Dental, GEHA, and Dentemax. We are constantly adding new insurance plans, so if you don't see your plan listed here, just give us a call and we'll happily check your benefits and see how we can help you! We also take cash, credit cards (Visa, MasterCard, and American Express), and CareCredit. Contact us at our office for your next dental appointment! We look forward to seeing you soon.